Credit card fee 1.87% to 1.99%: The IRS maintains a list of companies that accept credit and debit cards towards tax payments. You can find the current information by clicking here. Currently there are three separate payment processing companies on the list. At the time of this writing, debit card fees range from $2 to $2.59 per transaction and credit card fees range from 1.87% to 1.99%. Alternatively, you can pay taxes via the Plastiq Bill Pay service, but that will cost you more: 2.5%. Unlimited payments: If you’re willing to incur slightly higher fees, you can make an unlimited number of tax payments via the Plastiq bill pay service. Plastiq usually charges 2.5% to pay bills (including taxes) via credit card, but they occasionally offer lower fees via short term promotions. For details, please see: Plastiq Bill Payment Service. Reporting estimated payments: Estimated payments should be reported when filing your annual taxes on line 65 of Form 1040 or line 41 of Form 1040A. In my experience, if you make a mistake and forget to report some of these payments, the IRS will catch the error and refund the difference. A number of credit cards earn cash rewards greater than 1.87%.The best of the best is the Discover It Miles card which earns 1.5% cash back and doubles all cash back earned during your first year of card membership. So, if you have the card and you’re still in your first year of card membership, you’ll make a profit by paying your taxes with your credit card. Since you’ll earn 3% cash back on both the base tax payment and the processing fees, your profit should be approximately 1.186% of your tax payment. Several credit cards offer up to 1.5 miles per dollar for spend. In these cases, a 1.87% tax payment fee means that you can essentially buy miles for 1.22 cents per dollar. Even better, the Amex Blue Business Plus credit card earns 2 Membership Rewards points per dollar. In this case you can essentially buy miles for 0.92 cents per dollar. The Business Platinum Card from American Express OPEN: Earn a 50% point bonus for each purchase of $5,000 or more. If you pay $5,000 or more in taxes, you’ll earn 1.5 points per dollar. Points can be transferred to a large number of airline programs. Note: With this card you won’t earn 1.5X on the payment fees (since they’ll be less than $5,000), so the cost per mile will be slightly less. Amex Blue Business Plus: Earns 2 Membership Rewards points per dollar on up to $50K spend per calendar year. Southwest Plus, Southwest Premier, or Southwest Business: With Southwest, when you earn 110,000 points in a calendar year (including points earned from credit card spend) you get a companion pass good for an unlimited number of flights for the rest of that year and all of the next calendar year. Chase Ritz Carlton Rewards Visa: Earn Platinum status with $75,000 in annual spend. PayUSAtax.com ($2.58 fee): Make a $497.42 payment. OfficialPayments.com ($2 fee): Make a $498 payment. Which gift cards don’t work? Some Mastercard gift cards via OfficialPayments process as credit cards rather than debit cards (one known example are the US Bank Mastercards typically bought at grocery stores). If one inadvertently pays the IRS more than one’s annual taxes, that amount would be refunded, I assume? So an overpayment would just be an interest free loan to the federal government? Anyone aware of pitfalls with this? Take the extreme example — you’re owed a refund from the IRS but you “miscalculate” and make some extra tax payments anyway. Obviously you’ll be without the cash until the refund check clears, but does it create any other issues? No downside. I believe it could even prevent you from being assessed underpayment penalties should the IRS audit you and reclassify some income or disqualify some deductions. It seems like this trick could be used with Q4 estimated payments to turn a tidy profit better than any savings account. Any datapoints about PayPal Debit card for paying taxes? Still earns 1%? Good question. I know they changed their terms to say that only credit transactions would earn rewards, but its not clear to me whether that has been enforced. Anyone have data points more recent than October 19 2016 (when the new terms supposedly went into effect)? I know the Plastiq transactions using Paypal still earn 1%, but am not sure how the tax transactions will appear. No more 1% since the last quarter. I used to get 1% back for OfficialPayments transactions but not anymore. PayISATax debit payments had never gotten 1%. I got the 1% from PayUSATax last year but not Pay1040. OfficialPayments.com treats PPBDC same as a credit card and charges the higher fees. Scratch that, OfficialPayments.com does not pay the 1% and Pay1040 charged the credit card fees. PayUSATax definitely paid the 1%. One cannot pay PP debit with Pay1040. You mixed something up. #3 becomes slightly sweeter for those with Business Platinum Amex card who are able to register for the recently announced (targeted?) promotion to earn 2x points on purchases $5,000 or more, thru 4/15/2017. One could earn miles for under 1 cent each — $0.009178, to be exact. Is this 2X offer available to everyone? Is there a link to try and register for this? Vanilla Visa and OneVanilla Visa gift cards issued by Bancorp work as debit at Official Payments. Gift cards issued by METABANK will not process at OP. Most (if not all) MasterCard gift cards will not process as debit but will process as CREDIT through OP. I just used two Metabank Visa debit cards at Official Payments and got confirmation that they were processed, and at the debit rate. That’s great to know that you had success with MetaBank Visa debit cards! Thanks for the DP! Specifically, I tried using the Dining Everywhere MetaBank Visa debit cards that I bought at OfficeMax and they could not be processed through Official Payments. Where did you buy your cards and what type of Visa cards? I used Five Back Visa gift cards from Giftcardmall.com, issued by Metabank. It makes sense to me that Dining Everywhere wouldn’t work. They’re designed to work at places that sell food (including some places that most wouldn’t expect like Walmart). One other data point on Metabank: PayUSAtax.com treats the Metabank Visa gift cards as credit, not debit, and charges the credit card fee. I was able to use Bancorp Vanilla MC (variable load $20-$500) purchased at Sam’s Club as debit at Official Payments in December. Will they accept money orders for payment? I pay my estimates state and federal taxes with money orders occasionally. No problems so far but always nervous about USPS. On the other hand you can take them personally to the IRS office but to much time consuming. The bold parts are contradictory. Is it double during the first year or after? The cash back you earn DURING your first year is doubled at the end of the 12 months (aka “after the first year”). Sorry the original was poorly worded. I’ve updated the post to make clear that only your first year spend is doubled. regarding the 2 payment limit, is this limit goes off who’s SS#? In our household, I don’t have my husbands last night but our tax files are in both our names would be we able to process 12 payments or just 6? When filing jointly, the limit is based on the SSN of whoever is listed as the primary tax payer so I don’t think you can get around it that way. I’ve added a note saying that you can exceed those limits by paying with the Plastiq bill pay service. Any data points regarding ATT Access More card and potential for 3x for tax payments as an online purchase? I think it’s dead for now. Plastiq used to give 3X points on IRS payments a few months ago, but my most recent attempt a few weeks ago showed as pending in the UTILITIES category, so I cancelled it. Something similar happened to someone on the Access More thread on Flyertalk. It’s possible it’s a short-term glitch since some mortgages were coding as utilities and according to the thread Plastiq told the customer they were working on it. I DID NOT write this comment. Some software glitch? Just a different person that used the same name. 🙂 To be fair, I used it first in this thread. I owe over $1000 this year in federal taxes and I’d like to earn 3000 points as well. Please let me know if you find anything out. We have until April! I’m trying to use up my 5% back debit cards at CVS by Jan 20th. Whats best? 1) Purchasing PayPal reload cards@$3.95ea. After loading the PP cards to my account then paying ‘PAYUSATAX’ with the new PP balance? OR 2)Purchase VanillaOne cards at CVS@$4.95 ea and use them as ‘Credit’@Official Payments? If I go with #2,what do I tell csr,,”I want to make a bunch of $500 ‘credit’ payments for the flat credit fee. Here are my pin #s”? Oh. Just read Charles update so I would have to use VOne as Debit and hope OPayments will take more than 2 cards over the phone. But still, What is the best route to go?,Buying the Paypal reloads or VOnes@ CVS? Thanks! I would add the Fidelity 2% cash back card and the Citi® Double Cash Card card for cards that give you a profit when you pay your taxes with them. I just got off the phone with Official Payments, where I wanted to make an ES payment based on multiple Vanilla GCs. The agent took the first one and sent me a confirmation but then she said she can’t take more because they can’t accept 2016 ES payments past January 1 (!) I spoke to a supervisor who confirmed this. The online payments seem to be alive, so I’ll probably pay with a 2% CB card, but does anyone have a suggestion for making phone GC payments work today? The only suggestion I have is to wait and use them to pay first quarter 2017 taxes or liquidate them by purchasing money orders at USPS. Just want to make sure if I make some payments with a credit card to the IRS let’s say end of the month (January) and file taxes in March 2017, I will get the money back at that time? Yes, if you overpaid this way, the IRS will refund the amount you overpaid. Thank you so much! I sincerely appreciate it! 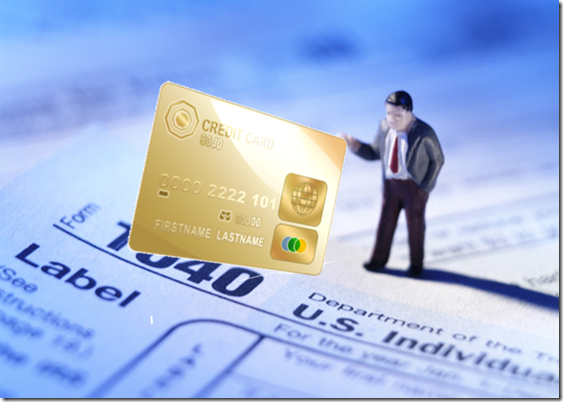 Will amex consider a tax payment ineligible for meting minimum spend? Wondering what the risk of having the bonus claw backed is. No, Amex is fine with tax payments. How about using BlueBird Card to pay tax’s? I still have 3 that haven’t been shutdown. Would you be able to make a payment for 2016 taxes now and not file till April? I know I will owe taxes and my time is almost up for a minimum spend, but I will not actually file till April deadline. Just to clarify, in practice, even if someone made an overpayment from withholdings alone and expected a refund they could go to one of the processors and select “Pay your 1040 Current Tax Return 2016” and pay additional funds through CC, correct? This would be an annual payment and not the same thing as an estimated tax payment, right? I always knew you could pay with a credit card but never looked into it too deeply because of the credit card fees. I may try this next year. Just have to make sure I don’t withhold too much so as to pay a penalty! I’ve already filed my taxes and will be getting a refund. Any additional overpayments from now I won’t be getting back until next year correct? or Will I get the overpayment back in a few months? Have a couple minimum spends to make. So I’m a little late to the game on this, and so looks like paying quarterly taxes aren’t an option. Several people have mentioned paying “annual tax” since we’re past the quarterly payment deadline. My assumption is that means “Form 1040 Current Year – Tax Year 2016” on officialpayments or similar on the other two processors. What form does that payment end up on? Bonus points if you can tell me where it would go in H&R Block 2016 Deluxe (the only thing I can find is quarterly taxes). Also, does this still work since I don’t owe any taxes? I can’t remember if there are any forms where you can list how much you’ve already paid towards the year end taxes. Assuming not, paying online is equivalent to sending a check for what you owe. The difference here is that in your case you are overpaying. The IRS should notice the discrepancy and pay you back for the overpayment. I’m just getting into this and am very excited. I have the Chase Inc card which gets 5% back from Staples. Can I buy GC from Staples and pay my tax with them? Thank you. Technically you could, but Staples only carries $200 Visa gift cards in-store and up to $300 online. Online is the better deal with its $8.95 fee. 2. Use $300 Visa to pay $297.75 in taxes (the $2.25 fee takes up the rest). Is it worth it? Maybe. Points earned are certainly worth more than fees paid, but consider also the time and effort involved. I just made a payment with OP online and it went successful, thank you all…tomorrow I’ll be making my second payment. Does anybody know if I can make 2 debit payments with pay1040 and one CC payment of the remaining balance? That would be 3 payments in total.. I think that you can only do 2 online even if 2 are debit and you want to do another with credit. I was able to make the 3rd payment with a CC on the automated system for 1040…I did get a confirmation, hopefully everything went through fine. I made 2 debit payments with OP and 2 debit payments with 1040 using OV cards…they both went through successfully. Where can I check the status to make sure they were both credited? DP. Just paid using metabank VGC through OfficialPayments phone system. OfficialPayments now has an automated phone system for accepting payments and does not allow more than 2 payments. No way to get to an agent. Interesting. I wonder if that’s just a problem right now due to heavy demand as we approach the tax deadline. To get an OP agent call 1-800-487-4567. Press 1, then 3. I just paid taxes today with two OneVanilla VGCs via OP agent. With a two card max and since I owe $1,150 – am I out of luck? I don’t want to take a chance of being penalized since I’d be approx $150 short. You can make more than two payments when talking with the OP agent. officialpayments.com seems to have trouble processing VGC issued by Metabank, purchased from giftcardmall.com. Big blunder as I rely on phone call method to liquidate multiple cards. VGC (Metabank) via PayUSAtax online -> Success! VGC (Metabank) via Pay1040 online -> Success! OneVanilla Prepaid Visa (Bancorp) via payUSAtax online -> Success! OneVanilla Prepaid Visa (Bancorp) via pay1040 online -> Success! OneVanilla Prepaid Visa (Bancorp) via OP online and by phone -> Failure! (error)???? I was also told that OP can no longer override the 2 payments per quarter rule. I assume that the payments via PayUSATax and Pay1040 online were the first 2 payments this quarter and the payment via OP was a 3rd or higher payment? On May 19th, I made one payment to payUSAtax and one payment to pay1040. Today, I made one payment to payUSAtax and one payment to pay1040. I wanted to make two payments to Official Payments today and both OneVanillas came up with error. Each payment totaled $500 including the convenience fee. Any thoughts? So the payments that you wanted to make today via Official Payments were the first payments of the quarter? If you had already made 2 payments with them, I can understand why the payments would fail based on what OP told me. But if you had not previously made any payments this quarter, that doesn’t make any sense. If that is the case, I would call and ask them. When I tried to make my third payment online back in April, I got a message that only 2 payments were allowed per quarter. I then made the payment over the phone with no problems. When I tried to make an online payment yesterday, I did not get the message of the limit of 2 payments per quarter. I was able to submit the payment (unlike back in April) but the payment was declined. Something appears to have changed. Hopefully my third quarter payments will go through okay.. Is June 16 the first day for submitting 3rd payments? Is June 16 the first day for submitting 3rd QTR payments? Yes, Official Payments were the first attempted payments of the quarter. OP said the error message they received shows that it is a OneVanilla issue and not an issue with them or the IRS. I called OneVanilla beforehand and the automated system said the card has been activated and has a balance of $500. The third quarter starts July 15th. I wonder if OP is no longer accepting gift cards. When my Visa Vanilla card was declined, I called Visa Vanilla and the rep told me that it was not on their end, but on OP’s end. I asked if they could tell why it was declined and was told that the error code said that it was because my name was not on the card. I had registered it but it only required the zip code. When I called OP and the phone payment was declined, I was told that it was because I was over the limit of 2 payments per quarter. However, according to the schedule you provided above, the 2nd qtr payments started on 5/15/17 so the payment that I tried to make via OP yesterday would have been my first 2nd quarter payment through them. So the OP rep gave me bad info. I would be interested in learning whether anyone has been able to make recent gift card payments of any kind via Official Payments. I have a question.on the dates that you show above for submitting estimated payments. Using the first quarter as an example — the payment schedule shows that first quarter payments can be submitted through 5/15/17. However, to be considered timely paid, the first quarter payment needs to be made by 4/15/17. Are the dates per the schedule simply used to determine the 2 payments per quarter limit? I assume that the actual payment date determines whether it is timely paid — correct? I can’t believe that a 5/15/17 payment made for the first quarter would be considered to be timely paid. Or am I missing something? These dates are posted on the pay1040 and Official Payments websites under FAQs. I am not sure on the “why” of these dates. I assume if you pay after 4/15/17 then there would be some type of penalty fee imposed. Thanks for sharing those data points. I am also interested if anyone else is having trouble with gift cards and Official Payments. I called the OneVanilla Prepaid Visa CSR and they said that the card is being declined because the gift card is being run as a reoccurring or recurring payment. It needs to be run on a different method. It needs to be run as a one-time payment. Some history : Back in April I had two OneVanilla Prepaid Visa cards processed successfully by Official Payments. Pay1040 & payUSAtax processed the cards successfully this week. So they are blaming each other and neither one can help. I may have to resort to using the cards for everyday spend or liquidate through USPS. That is not good news. Does Pay1040 or PayUSATax allow for payments over the phone as OP used to for payments in excess of two per quarter? If so, that would be another option for liquidating. I believe all three processors are strictly following the two per quarter rule. Successfully bought two $500 money orders from USPS with the two OneVanilla VGCs that failed to process at Official Payments. Just bought a OneVanilla. Error when trying to use it at OfficialPayments, but it went through on Pay1040. Thanks for the DP, boridi. The CSR for the Metabank VGC said something to the effect that the merchant (OP) is not supported by Visa, so for security reasons it did not process. After all these failures to process the different Visa gift cards and getting different explanations from Official Payments, Metabank, and Bancorp; it seems as if Official Payments made a change in their system that somehow signals the gift card issuer to deny the transactions. For now I will buy money orders with the Visa gift cards until if/when this issue is fixed. Thanks for your DP, Charles. If Visa doesn’t work at OP, I wonder if Mastercard gift cards would work. I have been buying the Visa Vanilla at CVS (2nd qtr 5% Citi cards at drugstores) because they used to work at OP. I would buy MC instead if I thought that they would work. If MC do work, earlier DP state that some post as debit and some as credit. Any DP on which ones post as debit? Last year I tried using a OneVanilla MC as debit but OP will only run it as a credit. They did not give me an explanation as to why they would run a legitimate debit card as a credit through their system. I have read elsewhere that OP has been known to run MCs as credit. I am not sure if there are any MCs that run as debit. Since it is more difficult to get money orders using the MCs, I have avoided them. It appears that something changed at OP sometime between April 13th and May 12th from accepting Prepaid Visas to declining Prepaid Visas. I remember talking with a CSR at OP on May 19th and they told me that approximately a week or so prior that they could no longer override the two payments per quarter rule. The timing of following the two payments per quarter rule seems to coincide with the error messages of trying to use Prepaid Visas. “As of May 2017, there appears to be a glitch in the processing of all Visa Prepaid debit cards issued by Metabank and Bancorp Bank. These cards are being declined by the gift card issuers for payments to Official Payments. Both gift card issuers are receiving a message such as “bill payment recurring” from Official Payments that forces them to decline the transactions. Others are reporting the same problem. The Visa Prepaid debit cards issued by Metabank and Bancorp Bank process successfully at pay1040, PayUSAtax, and for buying money orders. Thanks for the DP, BL. I am hoping Official Payments will really take a serious look into this and fix it. Do estimated payments made through plastiq show up on eftps like the other payment processors? I’d be very surprised if they didn’t, but I haven’t tried making these payments through Plastiq so I can’t say for sure. When you pay taxes via these services, they will ask you which taxes you are paying (ex: 1040 estimated tax, 1040 2017, etc.) and it will collect your SSN and other info that the IRS will use to match up your return with the payments. You should then report these payments on line 65 of Form 1040 or line 41 of Form 1040A. In my experience, if you make a mistake (forget to report some of these payments), the IRS will catch the error and refund the difference. Greg, could you answer this with a little more detail? I see that pay1040 etc takes your info and applies the payment to your account/SSN. But what do you indicate in 2018 when you’re filing your return, say via turbo tax? Shouldn’t these payments be shown on line 65 — Estimated Taxes Paid? If not, how will you know if you have an overpayment or underpayment. And if an underpayment, how much tax to pay with your return? Thanks Terry! Yes, indeed. My previous comment was incorrect. I’ve updated it with better info. Thank you for your reply! I have mis-read line 65 to assume it was amounts applied from previous years only. This all makes sense! I have a question about taking a business tax deduction on VGC fees. I buy VGCs and pay my state business taxes online with them. In addition to the processing fee which I believe is a legitimate business expense, do you think I can deduct the $5.95 or $6.95 fee I pay to purchase the VGC? I’ll consult a tax professional but would be interested to know what people have done and what they think is allowable. Thanks. Wow, I don’t know about that. It might be technically OK, but personally I wouldn’t try to expense the gift card purchasing fees — it would be way to hard to explain if I was ever audited. Hi Greg, no I have not. Can you please explain a little bit about who can pay this? I am an employee who has taxes withheld from paycheck through my employer. Can I make extra payments on Dec 29, 2017 (today) and get that money back when I file taxes in February 2018? Yes you can. There is no rule against overpaying estimated taxes. Greg – Trying to understand the how to pay tax online and claim it back if I overpaid it. So if I pay tax for 2017 – 1040 now, I can get the difference back when I file the tax or only next year I can get the overpaid tax back? Yes, they should show up there. How long ago did you make the payment? Maybe it takes several weeks?